This unholy alliance is working on a new Rainbow Coalition. This time its called the “New American Majority” – and its coming to a polling place near you. Steve Phillips should know, he was involved every step of the way. I was a delegate to Jackson’s 1984 and 1988 campaigns, and I took a year off from college to serve as the California student coordinator of his 1988 campaign. Through that baptism by political campaign, I learned some lasting truths about politics and social change. Before Barack Obama went to law school, before Spike Lee made his first movie, before Shonda Rhimes could even dream of writing television shows featuring actors of color, a forty-two-year-old Black civil rights leader shook up the political system by running for president of the United States of America. To get from Martin in 1968 to Barack in 2008, we needed Jesse in 1984 and 1988. So, if Jesse Jackson’s Rainbow Coalition is the model for Steve Phillips’s “New American Majority,” maybe it might be be worth traveling back to the eighties? 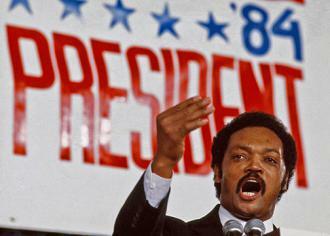 The National Rainbow Coalition grew out of Jesse Jackson’s 1984 presidential campaign. During the campaign, Jackson began speaking about a “Rainbow Coalition,” an idea popularized by the late Chicago Black Panther Party leader Fred Hampton. The speech called for Arab Americans, Native Americans, Asian Americans, youth, disabled veterans, small farmers, lesbians and gays to join with African Americans and Jewish Americans for political purpose. Whereas the purpose of PUSH had been to fight for economic and educational opportunities, the Rainbow Coalition was created to address political empowerment and public policy issues. After his unsuccessful bid for the Democratic nomination in 1984, Jackson attempted to build a broad base of support among groups that “were hurt by Reagan administration policies” – racial minorities, the poor, small farmers, working mothers, the unemployed, some labor union members, gays, and lesbians. 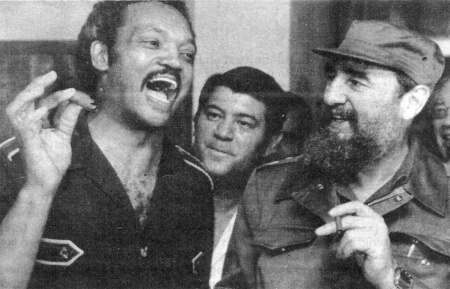 After hobnobbing with foreign communists such as Soviet leader Mikhail Gorbachev, Cuban leader Fiden Castro and Palestinian terrorist leader Yasser Arafat, Jesse Jackson had no problem welcoming American Marxists into his movement. A significant portion of the left found it necessary to back Jackson’s campaign, or risk missing out on an important political opportunity. Organizations like the League of Revolutionary Struggle (M-L), Communist Party USA (CPUSA), Line of March (LOM), the Communist Workers Party (CWP) and the Democratic Socialists of America endorsed Jackson’s candidacy. The answer to Reagan and Bush is to redouble efforts to build and strengthen the all peoples’ front, a vital part of which is the campaign being waged on the issues by Jesse Jackson. As a political party we do not endorse candidates of other political parties. Communists as individuals work in the election campaign, even in the campaigns of other candidates, not only Communist candidates. I think our members will work for the candidates they think have the most progressive, most advanced positions. At this stage most members of the Party will be working for Jesse Jackson on the basis that he does have an advanced position. But we do not endorse any candidate, including Jackson. A principal adviser to Jackson for more than 20 years was Communist Party USA veteran Jack O’Dell. 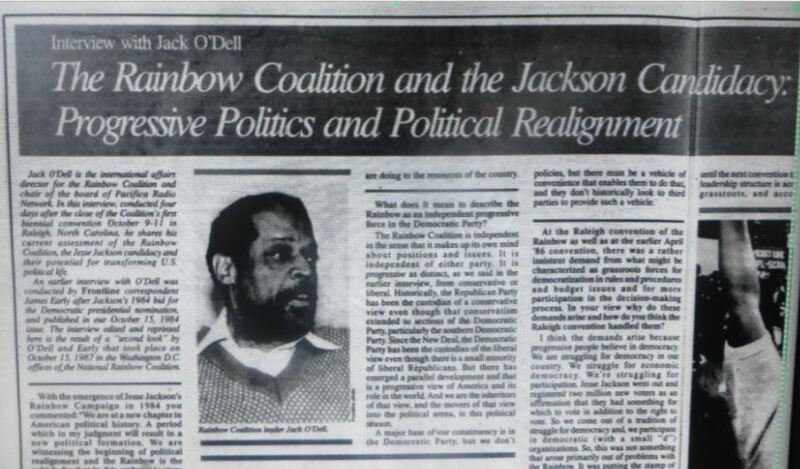 O’Dell was International Affairs Director for Jackson’s Operation PUSH in Chicago from the early 1960s onwards and later for Jackson’s Rainbow Coalition, where he served into the late 1980s. Actor Ossie Davis, a longtime Communist Party supporter, served on the Rainbow Coalition’s National Board in 1987, as did “former” Party members lawyer Arthur Kinoy, Kentucky civil rights activist Anne Braden and Party supporter Rev. Ben Chavis. Longtime Communist Party supporter (now Congresswoman) Maxine Waters also served, as did Manhattan Borough President and Party supporter Percy Sutton, reportedly a “money man” during Jackson’s 1984 run for the Presidency. The Party was also active on the ground. For instance, longtime Iowa communist Ray Teeple was a leader of the state Rainbow Coalition, while Party supporter Tom Mohan was Iowa State Rainbow director. Democratic Socialists of America largely missed the boat in 1984, but were all in by 1988. Longtime Democratic Socialists of America supporter Heather Booth served on the 1987 Rainbow Board, as did DSA comrades Dolores Huerta of the United Farmworkers, Gray Panthers founder Maggie Kuhn, Hilda Hason of the Washington DC City Council and William Winpisinger, President of the International Association of Machinists and Aerospace Workers. DSA supporter Jan Pierce co-chaied the Rainbow’s Labor Commission. Shakoor Aljuwani became the DSA staff person working to build support for the Rainbow Coalition, focusing on building Labor for Jackson committees. 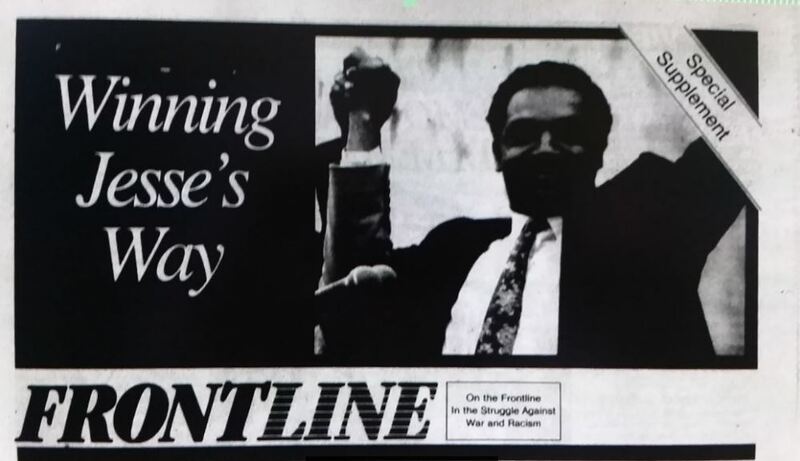 In 1988, AFSCME leader and DSA comrade Stanley Hill was co-chair of the Jesse Jackson campaign in New York. DSAer Tim Carpenter was a “trusted aide” to the Rev. Jackson’s 1988 campaign, while comrade Rhys Scholes helped run things on the ground in Oregon. In Hawaii, DSA couple Nancie Caraway and future state Governor Neil Abercrombie were both prominent in the Rainbow Coalition. Ben Nichols, Mayor of Ithaca New York, David Dinkins, Mayor of new York City, and Jim Scheibel, Mayor of St. Paul Minnesota, were all DSA comrades who owed their positions to the Rainbow Coalition. 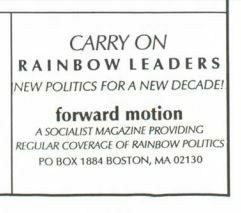 Kurt Stand, a DSA comrade in Washington, DC helped the Spring 1988 issue of the Rainbow Organizer. At the time he led a spy ring, stealing military secrets for communist East Germany. He was later sentenced to 17 years in prison. The Communist Workers Party chased the Rainbow early on. Supporters of China and North Korea, the ultra-violent CWP originally disdained electoral politics, but changed tactics just in time to get behind Jesse Jackson’s 1984 bid. They mainly worked through their still existing New York front group Asian Americans for Equality. In 1984, Asian Americans for Equality activist Bill Chong was National vice-chair of Asians for the Jackson Campaign. His comrade Linda Peng was New York State Asian American Jackson campaign coordinator. Regular contributor to the CWP’s Workers Viewpoint newspaper Mike Alexander became Mississippi state coordinator for the 1988 Jackson campaign. 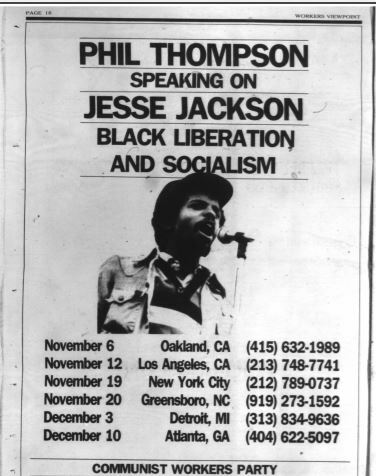 In 1984, Communist Workers Party leader Phil Thompson toured the country rousing support for Jesse Jackson. Former CWP members are still very powerful in the New York Democratic Party and also around Southern California Congresswoman Judy Chu. Next in line to board the Jackson train was Line of March. Originally Maoist, by 1990, LOM was strongly supportive of Soviet leader Mikhail Gorbachev. Line of March held multiple key positions in the Rainbow. LOM activists in the Rainbow included Carla Wallace, steering committee Kentucky Rainbow Coalition and Clarence Lusane, a leading Washington, DC activist. In 1984, LOM supporter Josie Camacho was Rainbow Coalition co-chair in California’s 8th District; in 1989, Larry Hobson was co-chair of the USC-Fresno Rainbow Coalition; and Leni Marin was chairman of Filipinos for Jackson. In 1984, Lillian Galedo was a leader of Filipinos in the Rainbow Coalition. 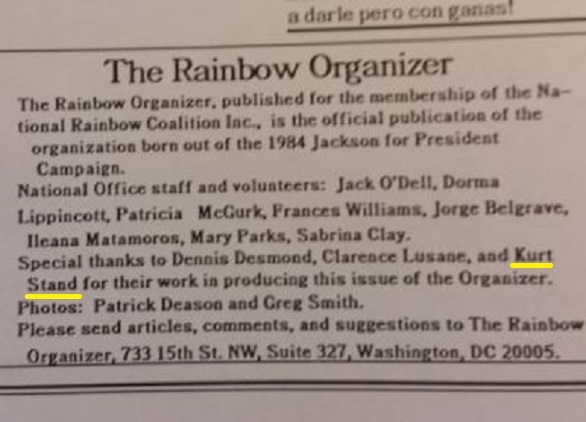 In 1988, Pam David was co-chair of Lesbians and Gays for Jackson, Romy Garcia was a member of the interim steering committee of the Washington Rainbow Coalition and Vicki Alexander was the co-chair of Rainbow Coalition Women’s Commission and a Rainbow National Board member. Line of March was probably the second most powerful faction inside the Rainbow. The number one spot went hands down to Steve Phillips’ comrades in the League of Revolutionary Struggle. The LRS was behind Jackson right from the beginning. League leader Amiri Baraka was urging Jackson to run for President in the pages of Unity as early as January 1984. The League and its supporters dominated the Rainbow in California, Boston and to a slightly lesser degree in New York and Chicago. Altogether the League probably had at least a thousand members working inside the Rainbow. 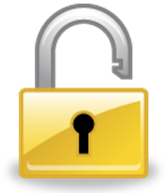 Notable LRS/Rainbow members include Mike Murase and Butch Wing, who both served on the National Rainbow Board and were trusted Jackson advisers. LRS supporters Sasha Hohri (New York Asians for Jesse Jackson) and Nebraska farm activist Merle Hansen, who doubled as Jackson’s agricultural adviser, also served on the National Board. LRS comrade Eddie Wong was national field director for the 1988 Jesse Jackson for President campaign. Further down the food chain, LRS supporter Tracy Takano served as chair of the Hawaii Rainbow Coalition, while comrades Mae Louie chaired the Boston Rainbow and Cliff Joseph led Artists for Jackson in New York. 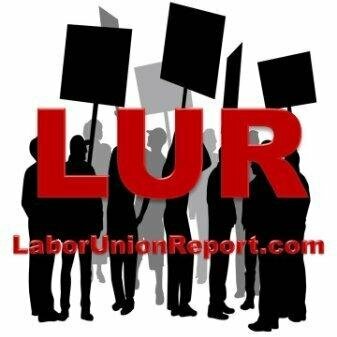 The LRS permeated Jackson’s organization in both 1984 and 1988. Today many of them are involved in the new Rainbow Coalition – currently in production. One more Rainbow sub-group deserves mention, the Freedom Road Socialist Organization. Strong in the Midwest, Boston and New York, Freedom Road (or its ancestor groups) dedicated many of their cadre and supporters to both Jackson campaigns. FRSO comrade Bill Fletcher was the Boston labor coordinator for the Jackson campaign. Comrades Patrick McCann and Mike Meiselman were Rainbow leaders in Maryland, Jon Liss manned the barricades in Northern Virginia, while Kris Penniston was active in the Madison Wisconsin Coalition. Boston FRSO supporter Gene Bruskin served as the labor director for the Rainbow Coalition. Jackson had the most left platform of any major party candidate in the 20th century. He won support from a “broad array of forces—African Americans, naturally, and other oppressed nationality communities, but also several unions, white family farmers in the Midwest crippled by the Reagan Recession, gays facing the first great wave of AIDS deaths, feminists, students and more. Much of the organized socialist left in the US, and an even larger section of unaffiliated reds and revolutionaries threw themselves into the campaigns”. Jackson’s newly formed National Rainbow Coalition, billed as an independent form that would fight inside and outside of the Democratic Party for a radical agenda, provided a common project for comrades to work on and around. Now we could test and strengthen the unity we had built. 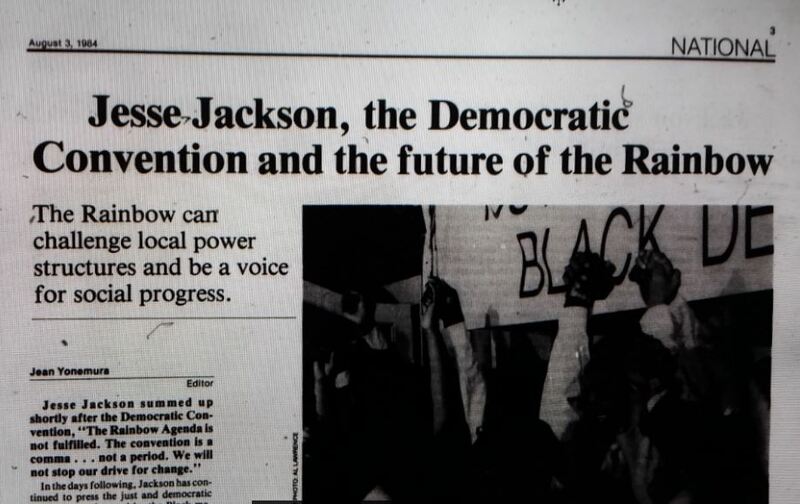 In 1988, Jackson won nearly a third of the delegates, and the “Democratic Party moved hard to co-opt him”. Jesse Jackson’s Rainbow Coalition earned a respectable 7 million votes in 1988. 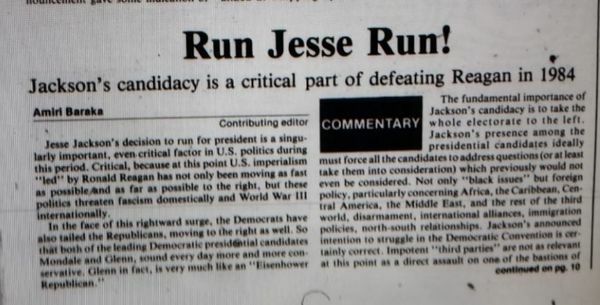 Most of his cadre were fired up to run again in 1992, but Jesse Jackson seemed more interested in moving “mainstream.” In 1990-91, the Communist Party split, as did the League of Revolutionary Struggle. The Line of March imploded in tandem with its beloved Soviet Union. The Rainbow’s base was severely weakened. There simply wasn’t the infrastructure to maintain the Rainbow and it soon collapsed. 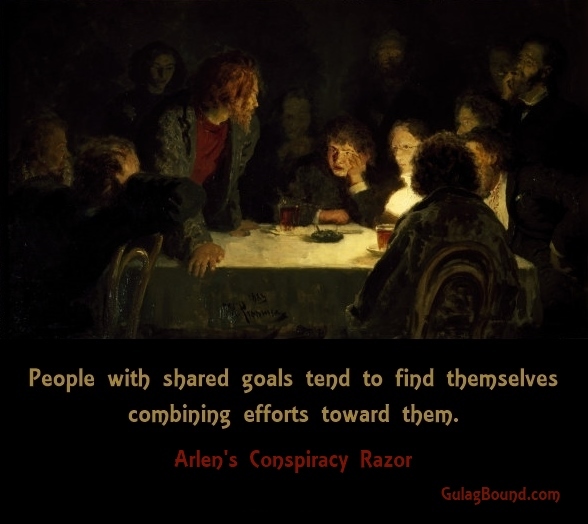 The League of Revolutionary Struggle split two ways. The majority faction became the Unity Organizing Committee, remnants of which form the backbone of Steve Phillips’ PowerPAC+. 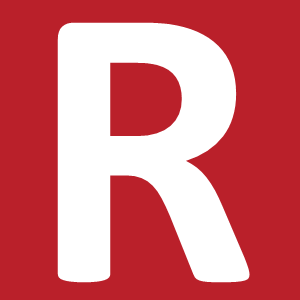 The smaller Socialist Organizing Network eventually folded into the Freedom Road Socialist Organization, which also absorbed some remnants of the Communist Workers Party and Line of March, to become a major player in today’s American left.